Wow is the first word that comes to mind when I read this book. 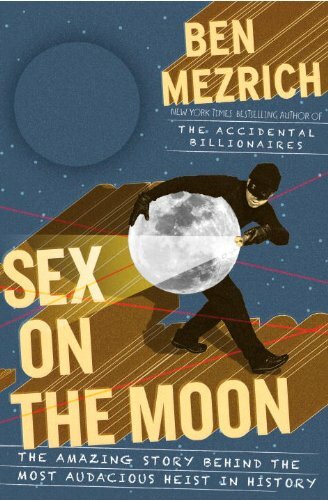 Now I am not saying that this book is worthy of the oscar equivalent for books or anything but it is definitely an entertaining read. The book is an easy read and is well written in my opinion. The author does a good job setting up the scene for the eventual heist especially the psyche of the main character which adds to the whole suspense of the novel. It was a little disappointing though because I mean there wasn't too much mystery concerning the book since you knew what it was leading up to but it was really awesome to see how the heist was executed. It was also neat to learn a little bit about NASA. The book is written almost like Hollywood movie complete with suspense, drama, and romance. One thing that I think would have been neat would have been the ability to see the heist through the eyes of other people involved. One problem with the book that I can see some people having is there is a lack of evidence behind the story. The story is based on interviews and supplied documents but none of the them are included or have been published so you have to take the book at face value. Overall, I would give the book an A for the entertainment value not for any historical value.